We offer a complete line of heavy-duty, all steel or wood floor truck beds for utility or recreational purposes. Sizes range from 7’ to 16’ lengths and fits the truck of your choice. 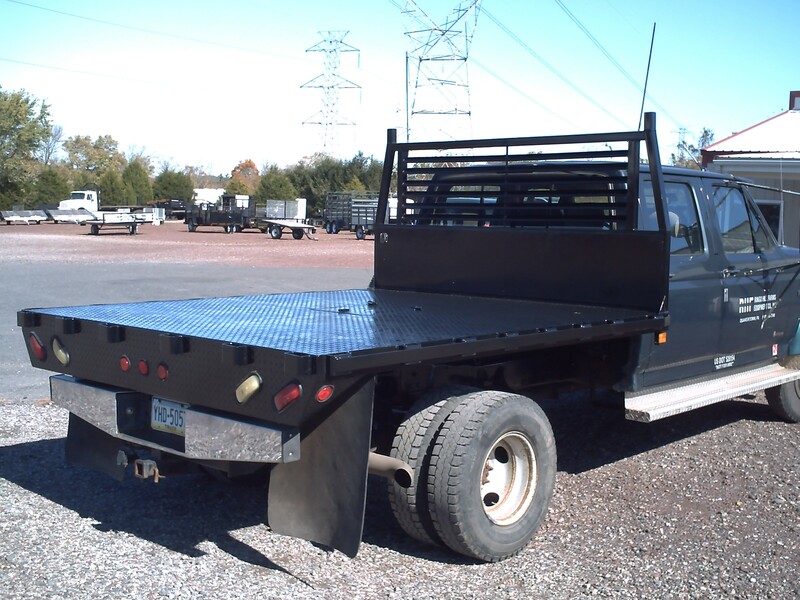 All trucks have bulkheads constructed from square tubing with louvers, smooth steel plate 12 gauge or 2” wood floors, rub rails with stake pockets and an 8” drop rear end. All beds are pre-wired and lights are installed. All beds are primed and painted black. 10' x 96" Ringo Steel Truck Bed with option of steel or wood floor. Our body measurements are total width which includes rub rails. PLEASE SPECIFY TRUCK FRAME RAIL WIDTH CUSTOM BODIES AVAILABLE UP TO 24 FT.
* LED Lights Note: Check with your truck manufacturer to determine if LED lights are compatible. All Truck Beds are partially wired and lights are installed. 1-1/2" x 2" square tubing frame. 40" high with slatted window.